The Hopflyt Venturi is a craft designed to become the leading mobility source for any journey under 200 miles, according to the Hopflyt website. It uses advanced aerodynamics principles (detailed in the Technical Specifications section) for improved performance. 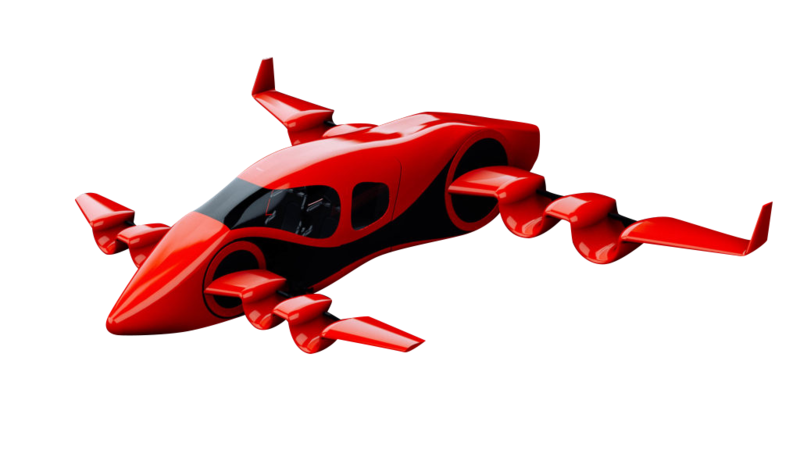 Utilizing a canard style design, the Venturi results in higher safety & a smoother ride experience for the passengers and the pilot alike. The wings tilt up for takeoff & landing, tilt down for forward flight and vary their angle while flying; hence "variable incidence. "By using variable incidence wings & canards with channels, Venturi achieves wing-borne lift while hovering, which significantly reduces its battery power consumption. Combining these technologies with DEP reduces mechanical complexity by removing traditional flight control surfaces (i.e. ailerons, elevators, rudder and flaps). This reduces weight, improves reliability and reduces maintenance while allowing the aircraft to takeoff and land vertically. Wings and canards can vary angle in-flight and improve ride quality by keeping the fuselage at a level attitude during all phases of flight. The powered channel wing design creates high levels of lift by efficiently accelerating air over the wing resulting in longer battery life. While the contra-rotating propellers produce more thrust and reduce noise. Control of the Venturi is provided by Distributed Electrical Propulsion (DEP) and the independently variable incidence wings and canards. HopFlyt has a unique approach to creating their eVTOL from an aerodynamic standpoint - using power channels in the wings that aid in acceleration of flow in and around the propulsors of the aircraft - combined with a variable incidence angle wing to facilitate vertical takeoff and landing in addition to accelerated forward flight. The company has substantial experience in flight testing, has engineers from NASA, and an array of other resources - monitor the progress of their subscale testing closely as they improve upon their final selected design.